Your MIDI controller has been configured for use within Pro Tools. An easy way to test your MIDI controller is by using the transport controls or creating an Instrument Track. An easy way to test your MIDI controller is by using the transport controls or creating an Instrument Track. I created an External Instrument preset in Ableton with the corresponding MIDI out and Audio in, so it's really just a two-step process to use it: Launch VCV Rack, and load the External Instrument preset. The MIDI input is for using any MIDI controller for triggering. The USB gives you a direct connection to your DAW. The triggers and tuning knobs can all be sent over the USB connection. The USB gives you a direct connection to your DAW. AS modules for VCV Rack. 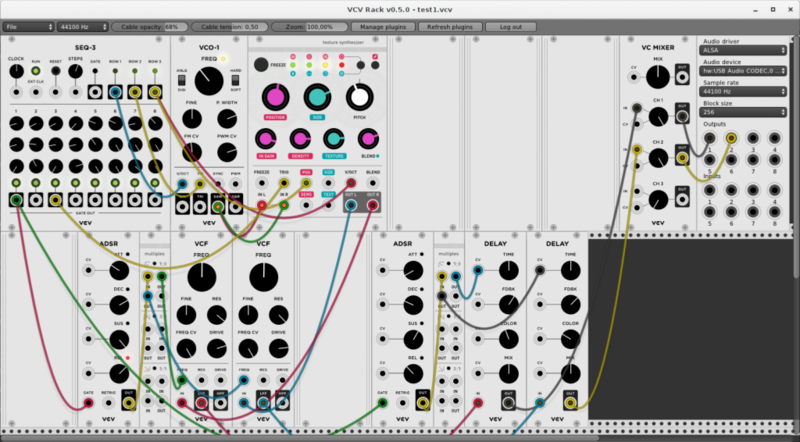 AS is a collection of modules for VCV Rack by Alfredo Santamaria, Need a custom work?, you can find me at Hakken.com.mx.